As I exited the Bistro, one of my favorite restaurants in all the Northwest, I heard myself exclaim a WOW! I was looking across at Liberty Bay. The sun was lowering, now, rapidly in the sky. It had been raining but the sun came out to say it’s goodbye for the day and what a spectacle it made. I am so fortunate to live in one of the most beautiful areas of this country. 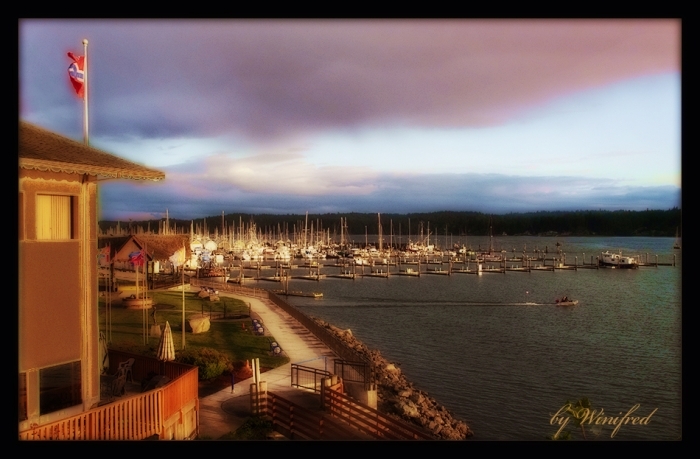 This entry was posted in Landscape and tagged Beauty, Landscape, Liberty Bay, Poulsbo, Professional Photography, Sunset, WA by Winifred Whitfield. Bookmark the permalink.